The EHF Court of Handball has sanctioned Zvonko Papak of ZRK Zrinjski Mostar (BIH) for unsportsmanlike conduct. The EHF Court of Handball has reached a decision following disciplinary proceedings against Zvonko Papak of ZRK Zrinjski Mostar (BIH). The panel of the EHF Court of Handball found that the behaviour of Mr. Zvonko Papak towards the EHF officials during the match was insulting and threatening. Therefore, he will be sanctioned with a penalty of a 4 match suspension from participation in all EHF competitions (national team and club competitions) on a suspended sentence basis with a probation period of 1 year. In addition he has been fined €1,000. The sanction is based on article 12 of the EHF Legal Regulations and B.3 of the EHF List of Penalties. 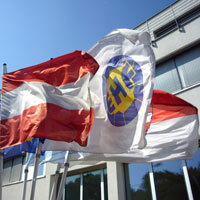 An appeal to the EHF Court of Appeal may be lodged by the coach and/or his club by 11 November 2011.